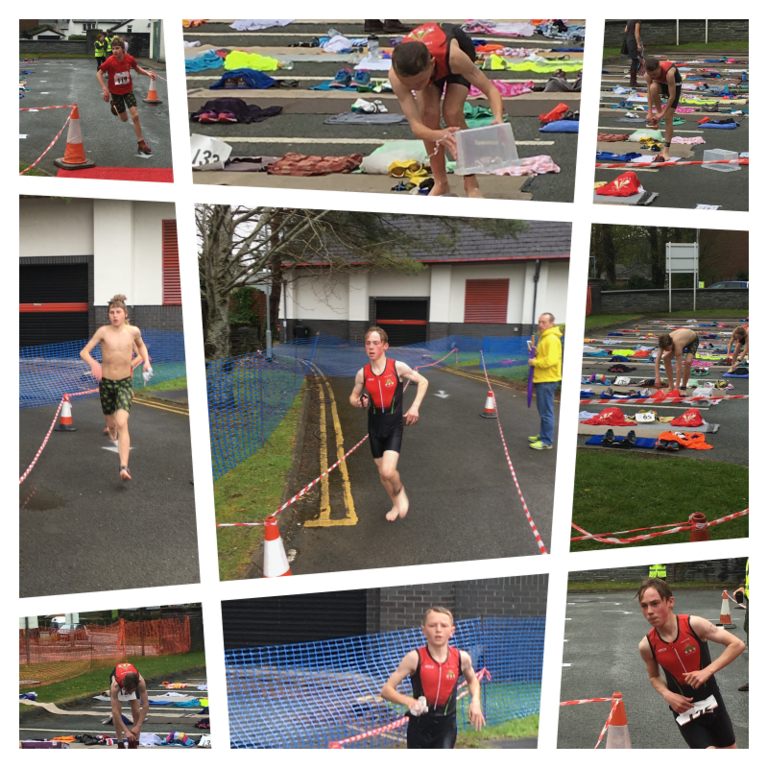 The Cerist Aquathlon took place on 16th April in Machynlleth. The weather was pretty rainy throughout the events that took place but we put on a good show in the events where we had athletes competing. The pool is only 20 metres so there would be lots of turns and the run was mostly on grass so off-road shows or spikes could be used. The TriStart girls race turned out to be a great success for Tristars Conwy. Seren Borland came home in first place and Isabelle Edghill in third. Out of the swim they were second and fourth but both produced the two quickest transition times of the race running home in their final positions. Less than 20 seconds covered the first four places and only 4 seconds split the first two!! It was lovely to see Leah Lamb racing in Tristars Conwy colours. This was a highly competitive race with a field of 23 starters. Leah did very well achieving her 6th place overall and was only a handful of seconds off 4th place! The race was won by Millie Hannant from Ruthin Tristars who dominated the race being fastest in the swim and the run. Carys Borland was our only representative in this race. She did show everyone the way however despite swimming too many lengths in the pool. Her time was adjusted and this proved to be enough to give her a winning margin over second placed Tia Froom. That said Carys had the fastest run of the day by 35 seconds finishing her event in 17 minutes and 58 seconds. A well deserved victory. 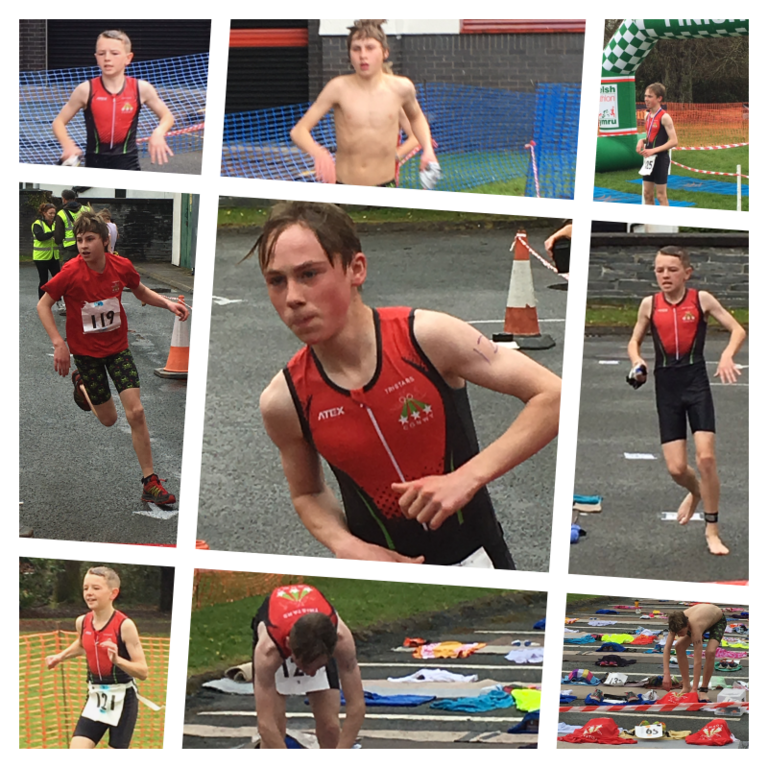 The T3 boys race was full of great young athletes with Osian Perrin leading the way for all others to follow. 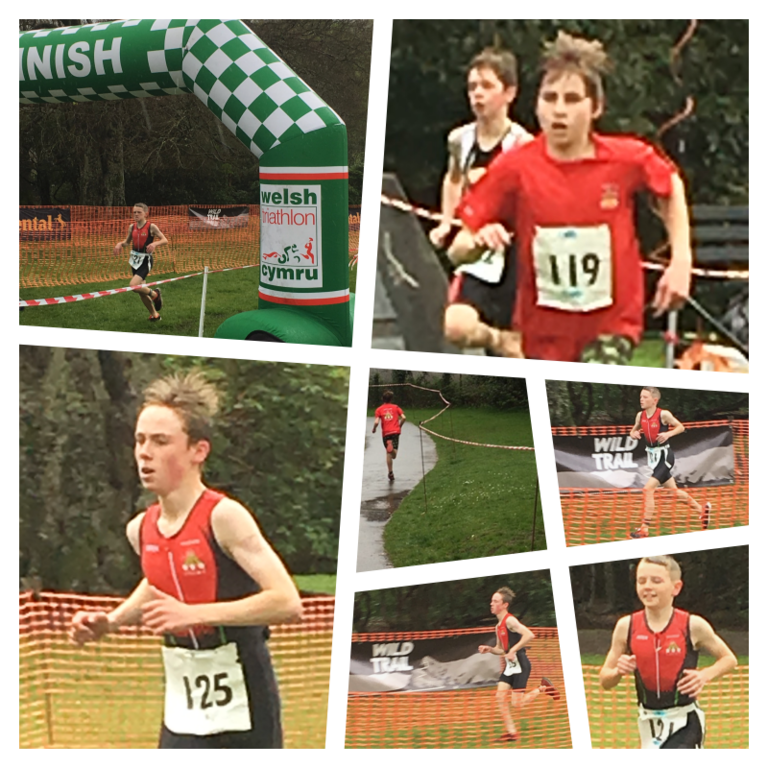 Osian recently won the Welsh Schools Cross Country Championship and has raced at the top level in childrens triathlon. We had three competitors in this race who all performed really well with 4th, 6th and 11th places. Huw Buck Jones was our leading racer finishing in a very good 4th place only 10 seconds slower than Osian Perrin on the run and second fastest runner on the day. Cameron Shaw finished 6th but with the second fastest swim beating some much more experienced athletes and showed some good future potential. Jacob Edghill finished 11th but was less than a second from a top ten finish too. Well done lads!! Our last two athletes were Alex and Amelie Roberts, both in the youth race. Alex did really well to finish 2nd in his race with the fastest run of the dayfinishing just 26 seconds behind the winner after 20 minutes of hard fought racing. But for a 'stitch' towards the end of the run this may well have been much much closer. Amelie finished 5th in her race and worked hard all day. Having recently started to come to our interval session on a Thursday evening she managed to complete the full run and will certainly strengtthen her run over the coming weeks. Well Done To You All! !